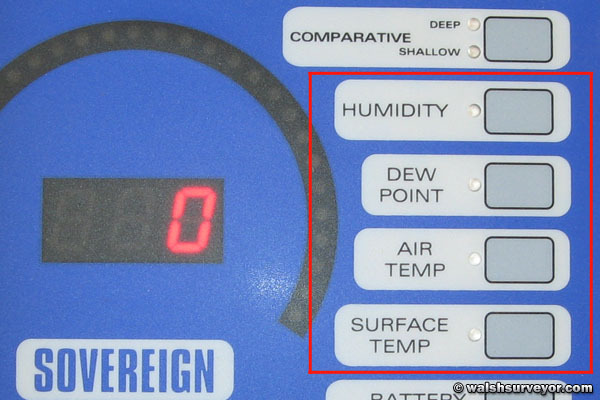 The Sovereign Quantum Marine Moisture Meter is the most advanced on the market which is specifically designed for the taking of moisture readings on GRP laminates. The UK company Sovereign Chemicals has a history with yacht surveyors and yards. It is conveniently housed in a strong Peli case which is actually quite comfortable to hold and use. 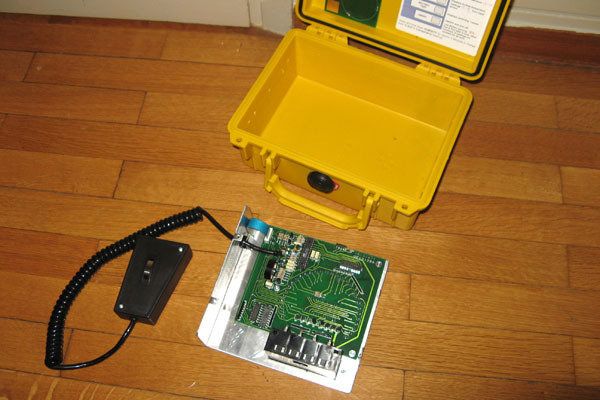 The probe is attached with retractable "telephone type" wire which is also comfortable to use. 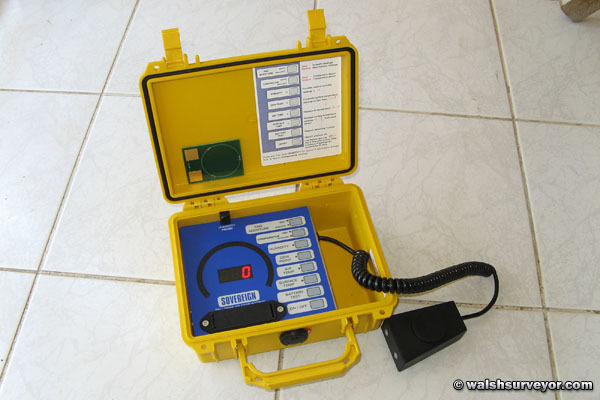 There is a calibration feature by which the calibration of the unit can be checked before the survey by touching the probe against the calibration pad and checking that the deep and shallow readings are the correct values. The unit also can measure some atmospheric values as seen above. This means that the conditions at time of survey can be quantified which makes the measurement more scientific. 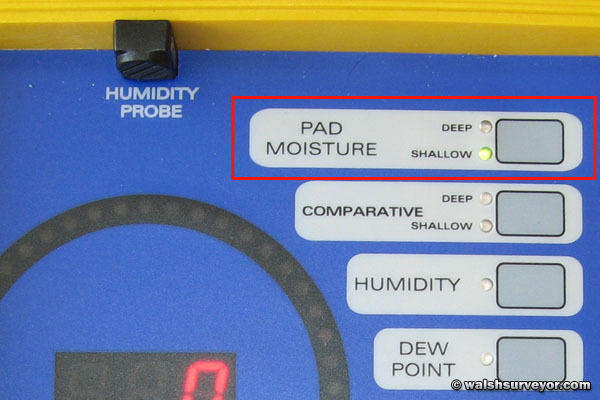 The unit offers both deep and shallow modes which are essential for finding the location of moisture in the laminate. Above we can see how the meter fits into the Peli case. 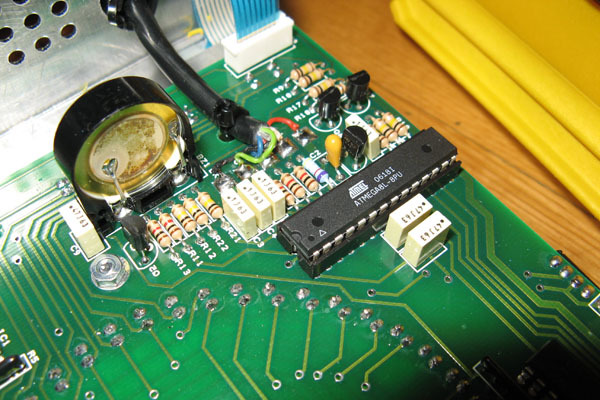 The meter is equipped with a microcontroller with flash memory. This means the unit can be upgraded to new software when sovereign release it. 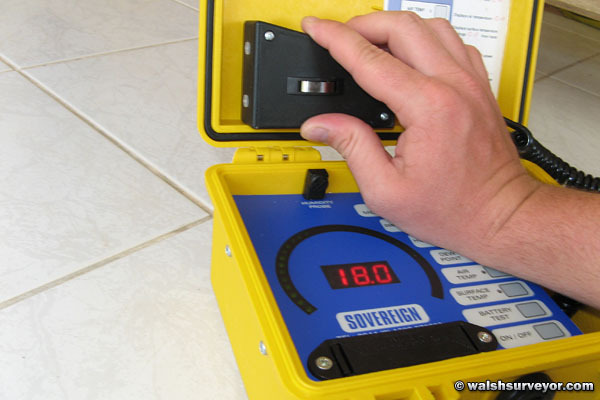 Sovereign have developed a new software which makes the meter mimic the old sovereign meter range. 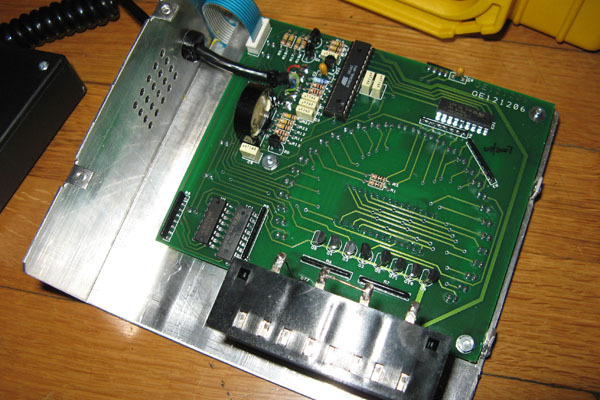 The new meter with original software differs somewhat to the old meter range which means that old and new data cannot be compared and various studies made with the old meter are irrelevant with the new one. There is also a service option to have the deep/shallow button to be a real button instead of part of the control surface, making it much easier to toggle between both.